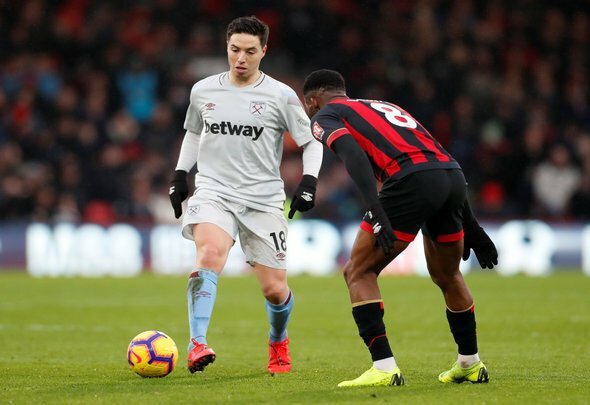 West Ham United midfielder Samir Nasri remains sidelined with a calf injury and will not feature against Crystal Palace, manager Manuel Pellegrini has confirmed. The Frenchman hasn’t played for the Hammers since the 2-0 defeat to Bournemouth in January, and won’t make Saturday’s clash with the Eagles. Pellegrini confirmed as much at his pre match press conference: “Marko Arnautovic and Aaron Cresswell worked the complete week without any problems but Samir Nasri needs some more days to recover from his calf injury,” he said, as per Football London. This calf problem has gone on for longer than anyone anticipated. Nasri has missed a fair few games for something that wasn’t considered to be a major issue when it first occurred. West Ham have certainly missed his creativity in his absence. They arrested their slump against Liverpool on Monday in an excellent 1-1 draw, but before that they were playing terribly and didn’t look like themselves at all. Nasri has shown in his short time at the club that he can offer them something a little different. He has tremendous quality and is able to unlock the tightest of defences, an ability which not too many Hammers stars possess. The positive news, though, is that Arnautovic and Cresswell are back in the fold and should be in line to play against Roy Hodgson’s team. That’s a big boost for West Ham and should put them in position for a positive result on Saturday.